Add carrot and cook for 2 - 3 minutes until softened and sweet. 1. Curry powder - Use HOT if you want it spicy, or mild if not. Use any curry powder - not intended to be a full on authentic Indian recipe. I've used all the major brands sold at Australian supermarkets (Keens, Clives, Hoyts, Masterfoods) and they're all tasty. 2. Chilli powder - this is pure ground chilli, for spiciness so adjust to taste. Chili powder in the US is a spice mix that's not very spicy. If you can't get pure ground chilli powder, sub with cayenne pepper. 4. 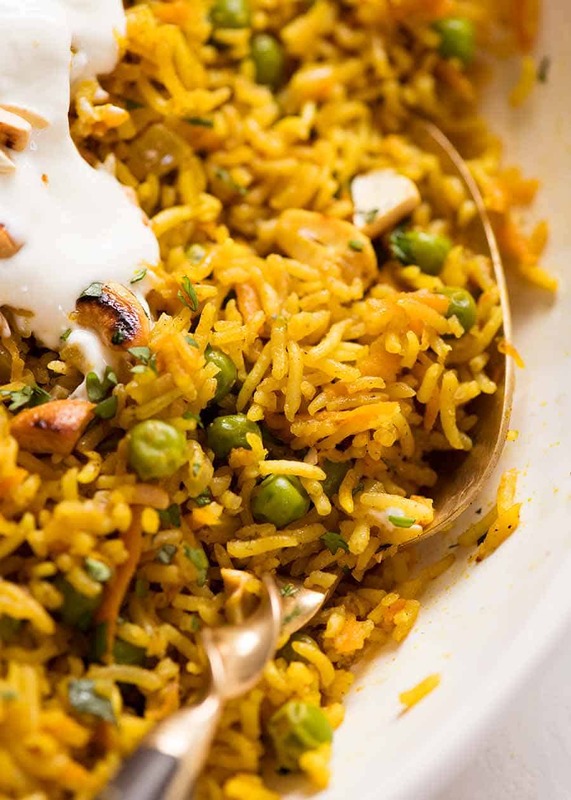 Rice - basmati is ideal for this recipe, the nutty aroma adds to the overall flavour. Can also use other plain white rice - long grain or jasmine (best subs), medium*, short grain* or sushi rice*. Not suitable for: Brown rice, black rice, wild rice, paella, or risotto rice. Not tried with quinoa. How I rinse rice: Either place in colander and run under water for 30 seconds, moving rice about with your hands, until water runs pretty clear. Or do this in a bowl, swishing rice around and changing water 4 times or so. Drain rice well before using. 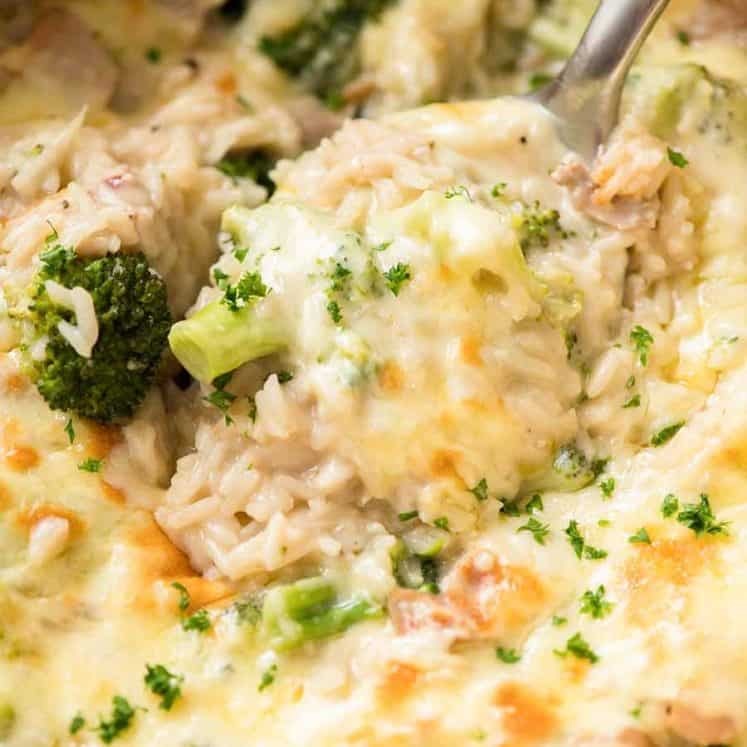 No need to soak rice for this recipe - I found it didn't make a difference to fluffiness. 5. Broth/stock - Be sure to use low sodium broth (stock), otherwise it will end up too salty. If you use a stock powder, bouillon cube or concentrate + hot water to make broth, then omit the salt completely. - Scaling recipe: If you scale down, be sure to use a smaller pot otherwise the rice won't cook evenly. - Don't use a fork to fluff basmati rice, it breaks the long grains. 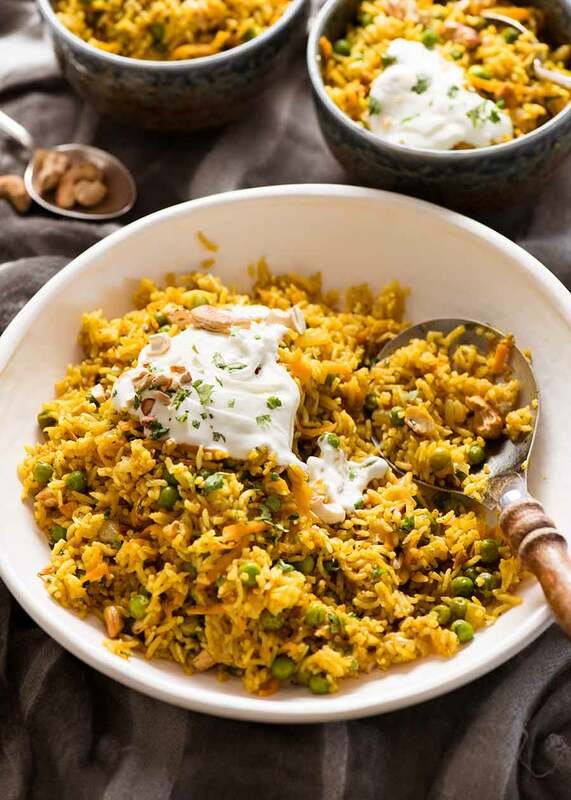 This rice recipe was delicious! My family and I adore it. Thank you! I love your recipes. You cover everything I am interested in. That’s awesome Carol! Thanks so much for letting me know what you think! 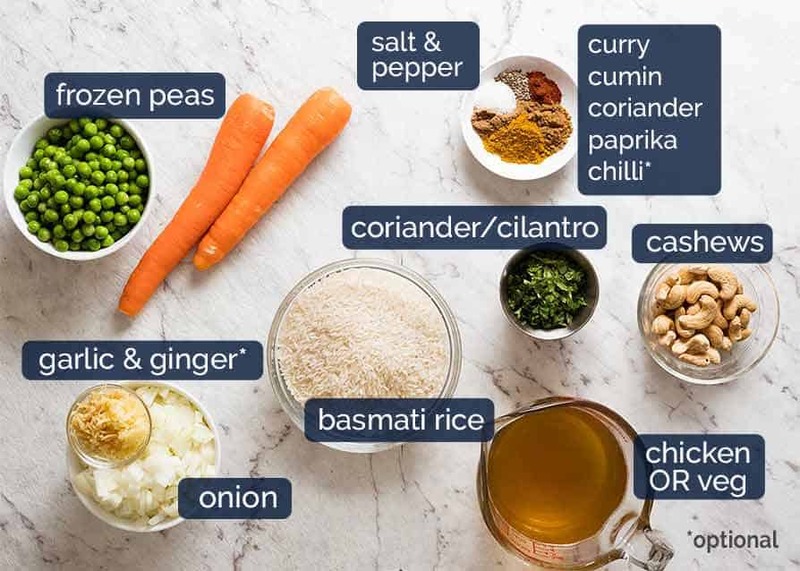 I love curry and this looks like a GOOD ONE! I hope you try it Jacqueline! 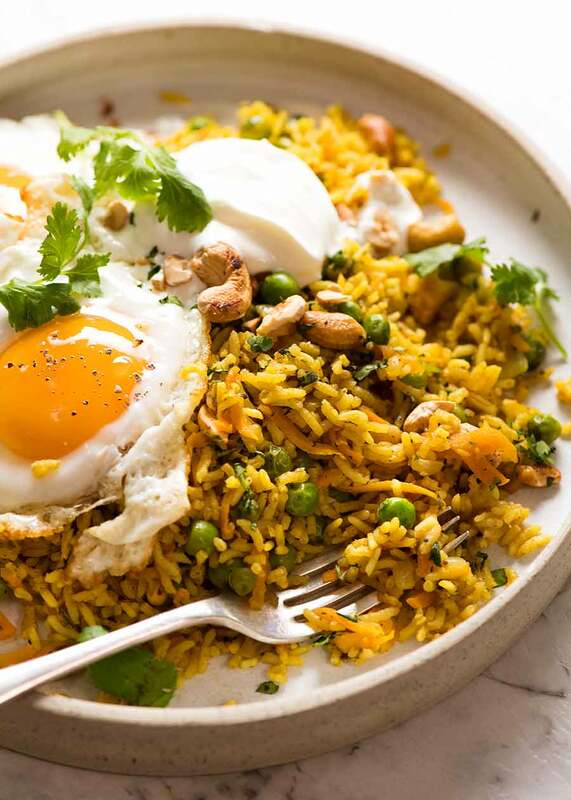 Made this easy recipe, used brown basmati rice and topped it with fried eggs. Delicious👍 I really enjoy your newsletter, great work. As a dog lover, I also enjoy pics of Dozer. 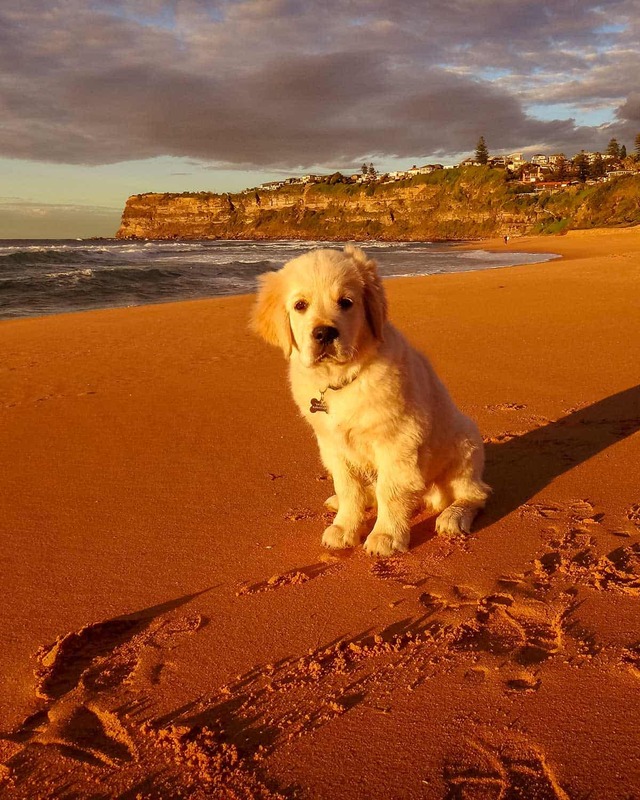 I have an apricot colored Australian Labradoodle. Great dog. I love this rice! Even my super picky husband ate it three days in a row. We even mixed a little bit of your pork carnitas in with it and it was even better. Thank you! I’m so happy you both love it Julie! 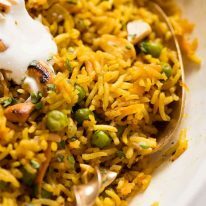 Hi Nagi – this rice looks AMAZING!!! Now about the peas, my husband and I love them, our son hates them. If I boiled the peas in water separately and then served my son’s rice up first, then stirred the cooked peas through do you think it would impact on the rice’s flavour??? If so we will save this recipe for when son isn’t home. I mean honestly, who doesn’t love peas hahaha. It’s just husband and me but I made the complete recipe because I didn’t want to cut the recipe down. We’re not spicy food eaters, so I halved all the spices but it was just right for us. We ate the rice for days but it was so good. Thanks, Nagi! That’s awesome Eleanor – I’m so happy you loved it! This was delicious! We had it as our main entree with naan bread on the side. Next time I might add some chickpeas. Thanks so much! Chickpeas would be great Jocelyn! I’m so glad you loved it! 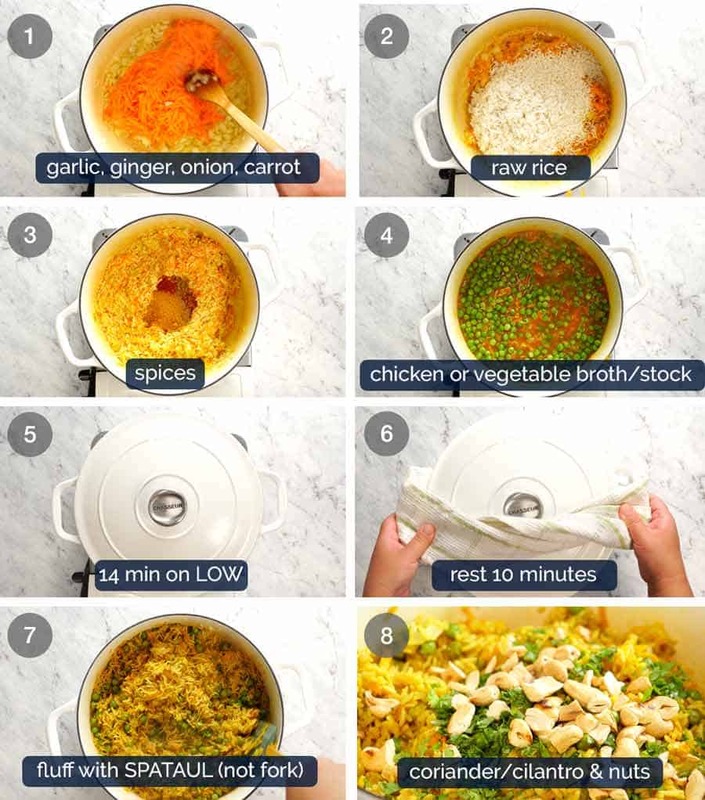 Your Curried Rice recipe was delicious. I will make it again. Thank you . Keep them coming . Delicious! I made the broth from leftovers of a roasted chicken from the grocery store that I had in the freezer. 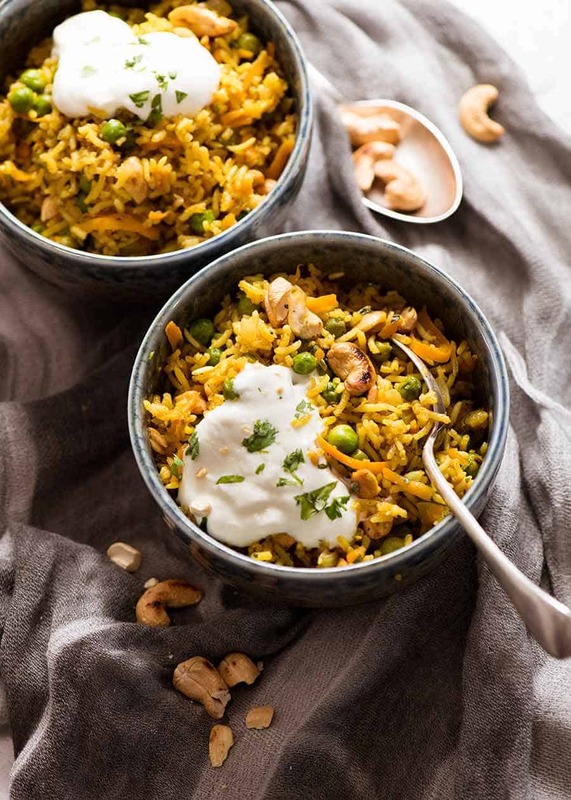 I only found brown basmati rice at my small local market and didn’t know until I started making the recipe that I wasn’t supposed to use brown rice. I cooked it 20 minutes longer and it worked out fine. Maybe the slightest bit crunchy, but not a problem. Again, so delicious! I’m so glad you liked it Rene! 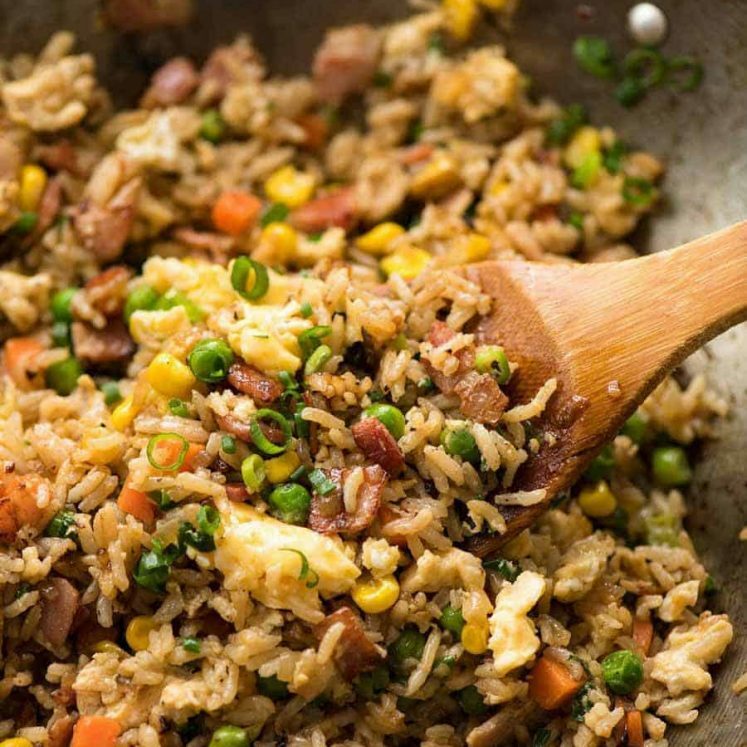 My husband said this is the best rice ever (not a great rice lover) yeah …. I loved it also thanks Nagi. I cook your recipes a lot, love them all. Thank you for making dinner easy. 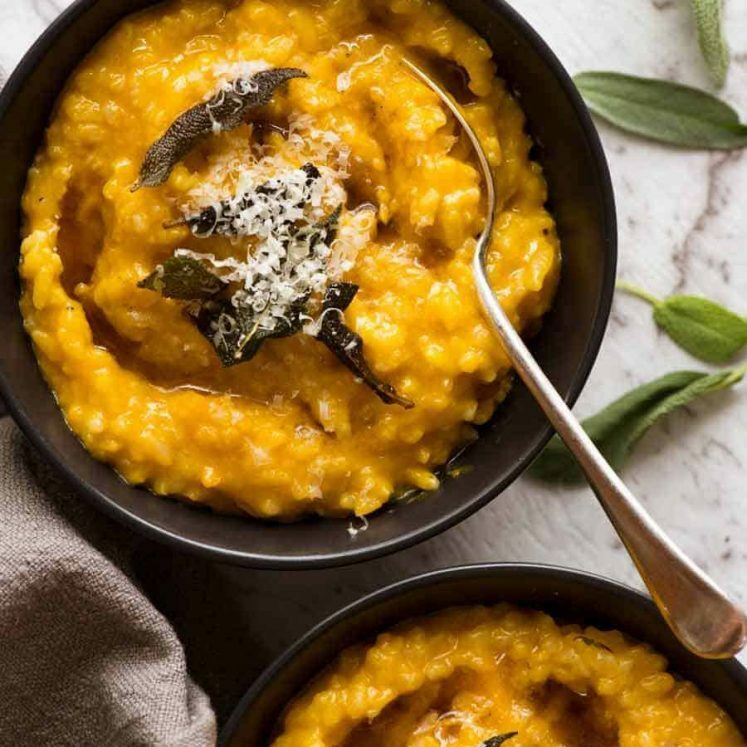 Would this recipe work with cauliflower rice? That curry rice was so good my partner said he could go on eating it until he was sick. It is very hard to call it quits. Tasty as. I’m so happy it’s a hit! I haven’t written/rated anything for a while, but I have been cooking a lot of your recipes. All good!! And this one is brilliant: once cooked, reheat for a minute I the microwave and magic happens again. I’m so glad you love it Berny!! !